A good way to enable product development, process improvement and project management is to emphasize teams and team leadership, especially since multiple functions are typically involved. The core team (made up of representatives of each function) ensures a concurrent approach and breaks down silos between organizations. The core team also ensures the strategy is linked to execution for specific initiatives. 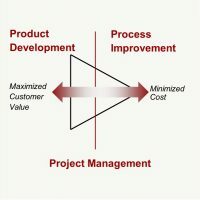 Often, a subject matter expert is assigned as a project manager, however, they may not have adequate bandwidth to apply project management expertise, or they lack project management knowledge, skills, tools, and techniques. Instead, the subject matter expert can be assigned as the core team leader (CTL). The CTL would be a direct report to the product development function, or process area in need of improvement. A project manager can be assigned to partner with the CTL (or CTLs). Some high-level responsibilities of the CTL would be: lead the core team in completing project deliverables and actions, coordinate with sponsors, functional managers and team members and present the project status. The project manager (PM) applies and coach project management methodologies, identifies project scope, actions & resource needs, creates and maintains the project plan & schedule. 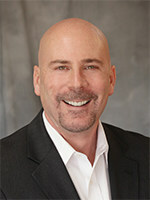 The PM also assists the core team leader in managing the plan and facilitates core team meetings and workshops. The Core Team Member (CTM) executes assigned tasks and activities relevant to their function, participates in core team meetings, maintains linkages to functional organizations, and coordinates extended team member activities. A good PM can be therefore be leveraged to collaborate with several core teams and provide additional collaborative problem solving and analytical tools. (For example, the PM can also be the product lifecycle process owner or a certified lean sigma black belt). The PM can also manage the project governance process, maintain project history files, lessons learned and re-use templates & artifacts thereby enabling lean project management. Clear roles and responsibilities, organizational and skillset alignment, and structured approaches will improve teamwork and overall workforce productivity. Also, this could be a growth opportunity for CTLs to learn additional skills coached by the PM. Effectively using project management in addition to tools and methodologies will ultimately speed things up, allow subject matter experts to focus on what they do best, and enable an overall more efficient enterprise. Are YOU ready to maximize the value of your products? Drop your email and name below!